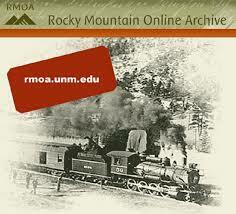 The Rocky Mountain Online Archive is your source of information about archival collections in Colorado, New Mexico and Wyoming. Welcome to the Upper Mississippi Valley Digital Image Archive, an online visual collection of historic images showcasing the Mississippi River region along the Iowa/Illinois border. Digital Horizons is an online treasure house of thousands of images, documents, video, and oral histories depicting life on the Northern Plains from the late 1800s to today. Here you'll find a fascinating snapshot of the lives, culture, and history of the people who shaped life on the prairies.